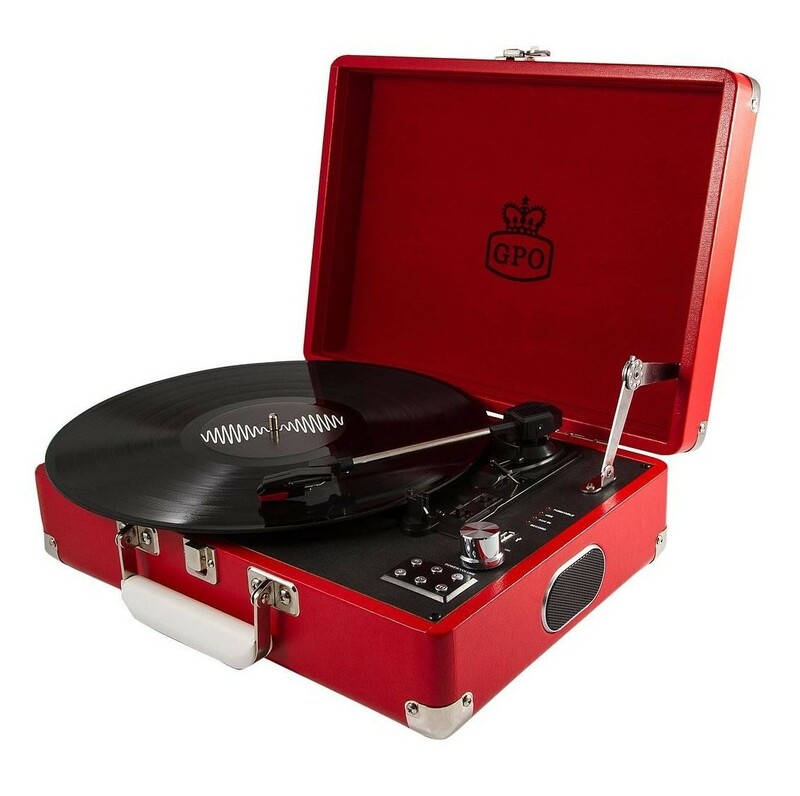 Stylish and lightweight, the GPO Attache stand alone record player makes it easy and straight forward for you to play your favourite vinyl records whenever and wherever you like. Don't leave you treasured vinyl collectioin to gather dust in the attic, bring old records back to life, rediscover those rare EP's and B-sides and enjoy the timeless feel of your vinyl record collection all over again. The three-speed (33/45/78 rpm) turntable enables you to easily play your music collection while the turntables also allows you to record all your favourite vinyl records to a USB stick. The built-in speakers ensure you can clearly listen to your favourite songs and the RCA connections (L/R) enable you to add extra speakers.